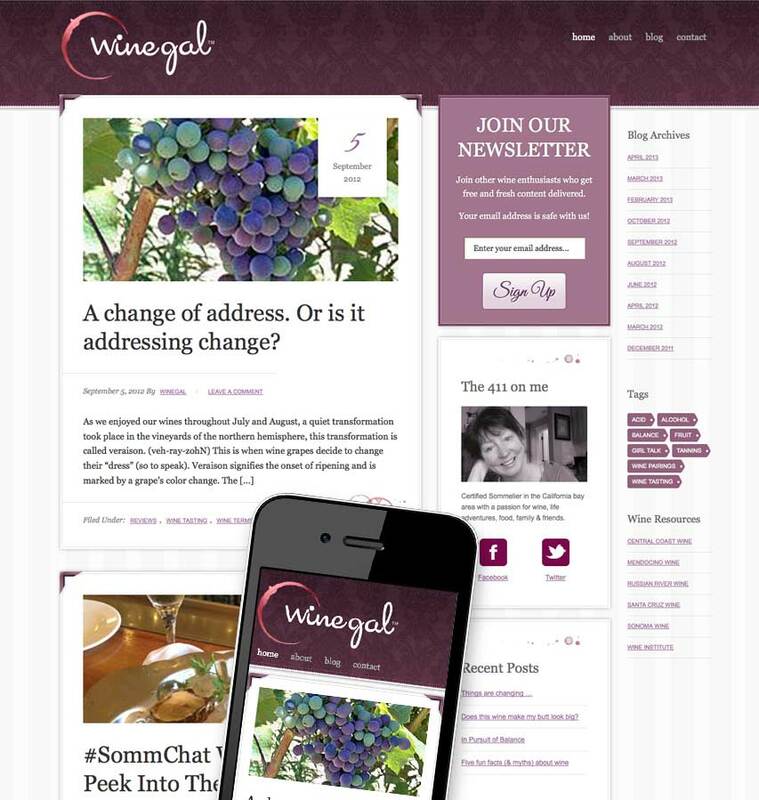 The Challenge: With a personal and professional wine background, and a recent certification as a Sommelier, Winegal needed a personal blog to build her wine community in preparation for a future e-commerce site. 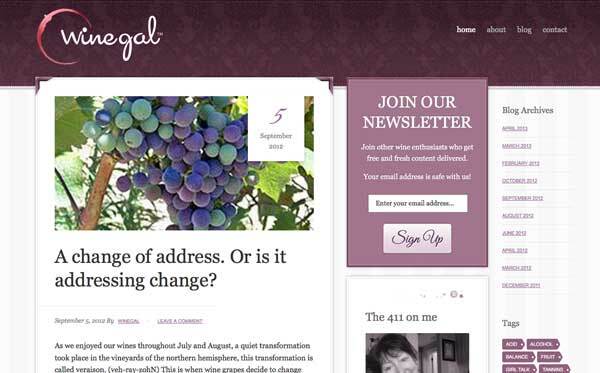 The Solution: Evolution Design created a logo design featuring a burgundy colored wine stain element. A mobile-responsive theme from StudioPress was selected for further customization. We added new graphics and backgrounds to create a professional and unique color scheme and appearance.